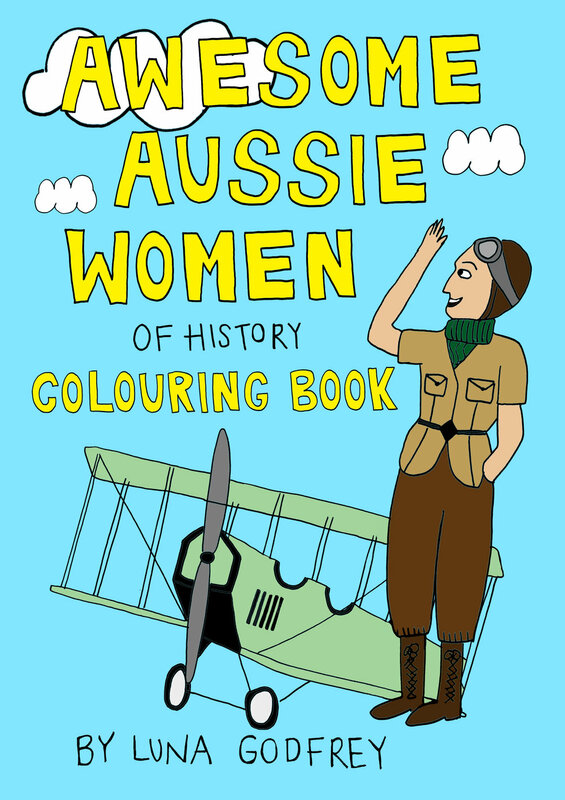 Sign up to hear about the Awesome Aussie Women of History Colouring Book! Hello everyone! I am currently hard at work on the second edition of the Awesome Aussie Women of History Colouring Book! If you want to stay up to date on the release date and get some behind the scenes action, you can sign up to my mailing list here. 10% of all sales from my Etsy shop this month will go to The Healing Foundation, an organisation which works with Aboriginal and Torres Strait Islander communities to address the ongoing trauma created by issues such as the forced removal of children from their families. You can read more about their work here. 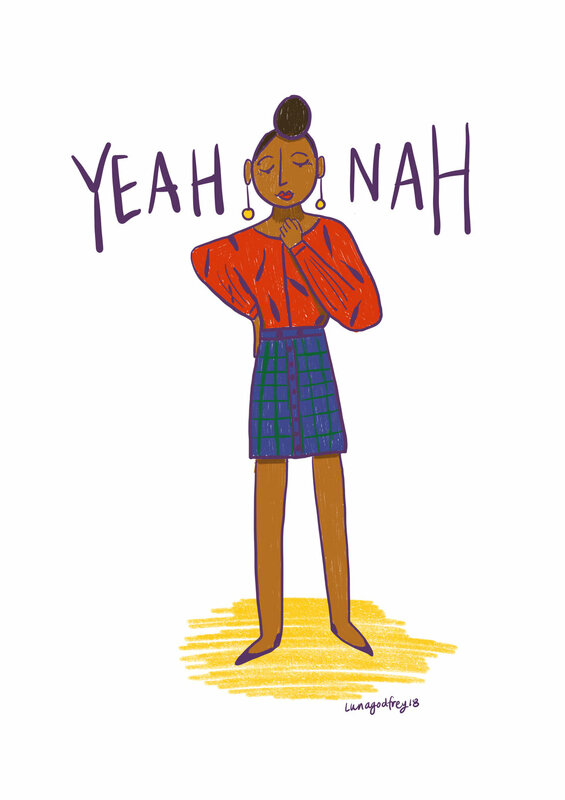 This is an illustration from earlier this year that I finally got around to listing on my Etsy shop. You can get it here. 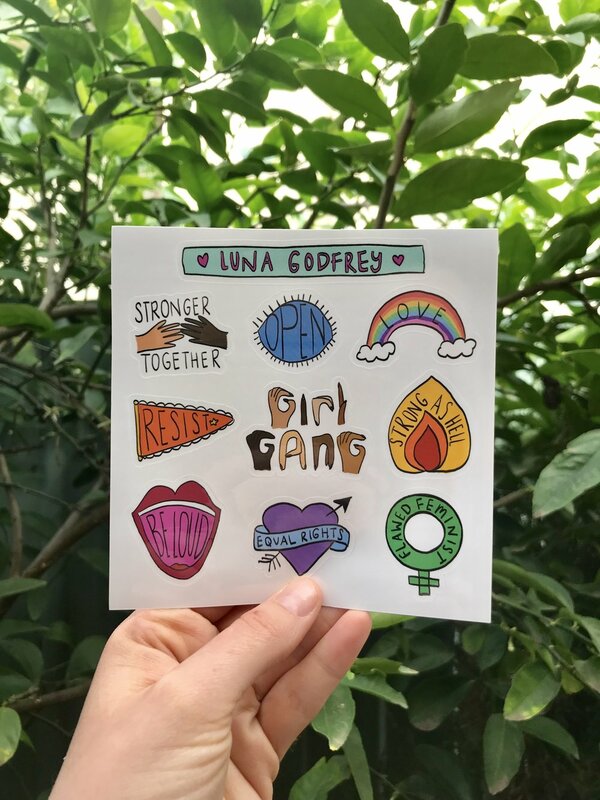 Feminist sticker sheets now available! I'm excited to finally offer some stickers for sale! I wanted to create some around the theme of resistance, as I try to be active and engaged in what is happening around me. I love how they turned out! You can buy them here. Don't forget that 10% of sales this month go to UN Women. 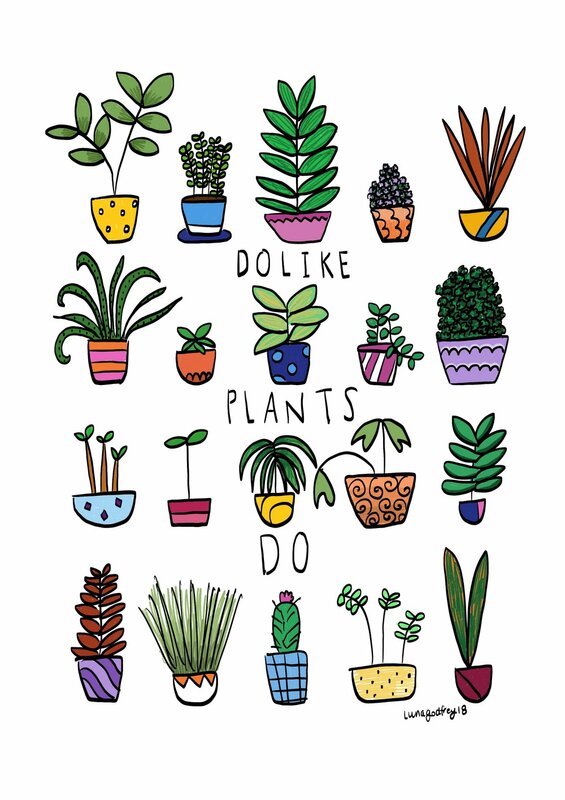 New print now available in my Etsy shop! Don't forget 10% of all sales this month go to UN Women. I'm very happy to have finally had some time to sit down and overhaul my website to reflect both the changes in my art style and subject matter. I hope to fill it with lots of fun and inspiring things as I share this art journey with you. Luna Godfrey is an illustrator from Adelaide, South Australia. 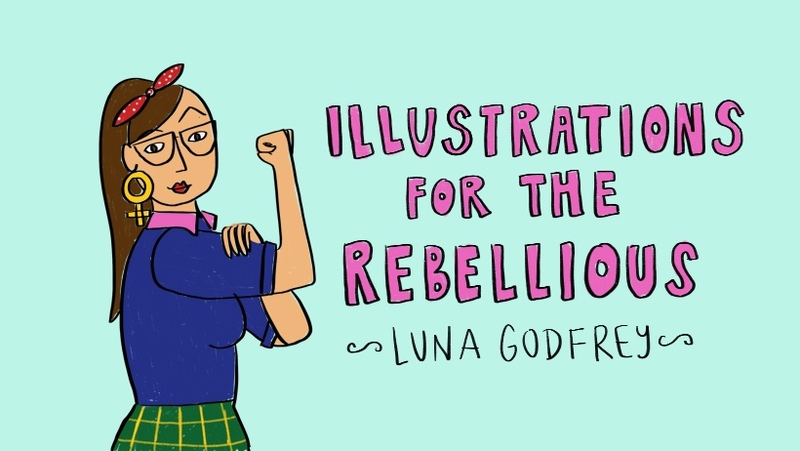 Her work centres around feminism, motherhood, body image social justice issues, and eye watering colours. Her wry sense of humour and wholehearted willingness to be vulnerable gives her work an authentic and touching vibe.